How to get to Visa center? Line 1 or 4, Jinjiang Station, Exit C2. Turn left on Leiting Road, go straight for 200 meters. The building is at the right hand of first crossroad. Stop “Leiting Rd” : No. 32, 119, 216, 520. 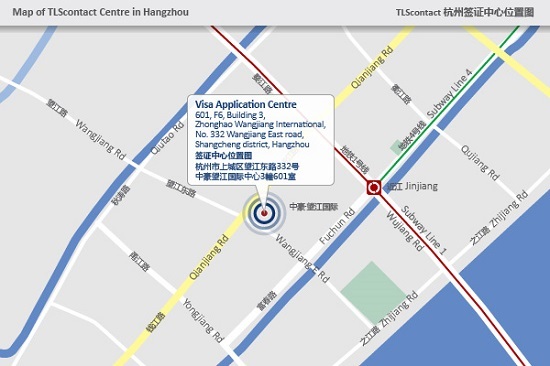 From Leiting Rd or Qianjiang Rd, you may access the car entrance of Wangjiang International center.